First of all, Welcome to Camera Lens Studio and we just want to say thanks to you for visiting our Camera Lens Studio blog. The reason behind to start this blog is that we just want to help those people who want to buy the DSLR, Lenses, Equipments etc. 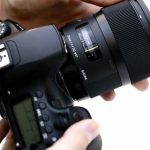 Our DSLR Camera expert team trying to find out the best products and listing here on this blog as a buying guides and reviews, which helps the people to choose the best product as per their needs and budget. Looking For Any Help To Buy A Best Gear? So if you don’t have much idea about the lens, DSLR or anything and confused which product is good for you as per your profession, then don’t need to worry about because our experts are here 24/7 to help you. If you need any help then you just have to send your requirement and budget via our Contact Form Page. Our expert team will definitely help you to choose the perfect gear as per your budget and needs.